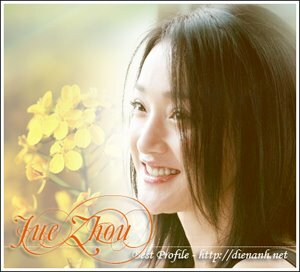 Zhou Xun: Update on soundtrack of The Banquet. Update on soundtrack of The Banquet. Jane Zhang Lianying and "I Repay Love With All I Have"
The two songs unveiled thus far, "Song of the Yue People" (vocals by Tenger in one version and Zhou Xun in another) and "I Repay Love With All I Have" (vocals by Jane Zhang Liangying) are just so marvelous, the comparisons to Tan Dun's previous work, especially the Academy award-winning Crouching Tiger, Hidden Dragon are inevitable. For my ears, this latest work appeals even more. Not that any of this was altogether unexpected. The soundtrack for The Banquet is a dream lineup of talent, the most interesting musical collaboration in Chinese cinema by far, and the results are already apparent. Accompanied by world famous concert pianist Lang Lang, Jane Zhang Liangying reveals once again why she was quickly signed up for a major contract by Huayi Bros, the producers of the The Banquet. According to the reports, Jane Zhang Liangying's song, "I Repay Love With All I Have" has been reserved for the end of the film, kicking in with the closing credits.